Once upon a time, a loaf of bread cost 10¢. Nope, that’s not the beginning of a fairy tale—that was life in 1940s America. But these days, you’ll spend at least 10 times that amount on bread of dubious nutritional value. Prices rise. To satisfy the steadily rising cost of living, your tuition rates need to rise, too. If you’re still charging the same tuition that you charged even five years ago, you could be compromising your school. Because you’re barely making ends meet, you can’t afford to pay quality teachers more for their efforts. As a result, good teachers, who can’t make ends meet on a meager salary, must leave to find a higher paying position. Or perhaps your school is in desperate need of repairs. Your classrooms haven’t been updated in years. You’re relying on the kindness of parents and your teachers to supplement what you can’t afford to buy because there’s nothing in the budget, and everyone is feeling the strain of financial burden. If this is happening to you, trust me, it’s definitely not a good look for your school and, what’s worse, it can all be avoided by a simple raise in the cost of your tuition. I get it. The idea of raising your tuition is easier said than done. You’re probably thinking: If we raise tuition prices, we’ll lose students. Our families won’t be able to pay, and we’ll be worse off than if we kept the tuition at the current price. But allow me to reassure you. Raising tuition will improve your school in many ways, and will allow you to create the educational experience that your families are hoping for when they enroll. Let’s discuss how to increase tuition rates while also improving school sentiment. It can be done! Here’s a list of best practices to keep in mind when increasing your school’s tuition. 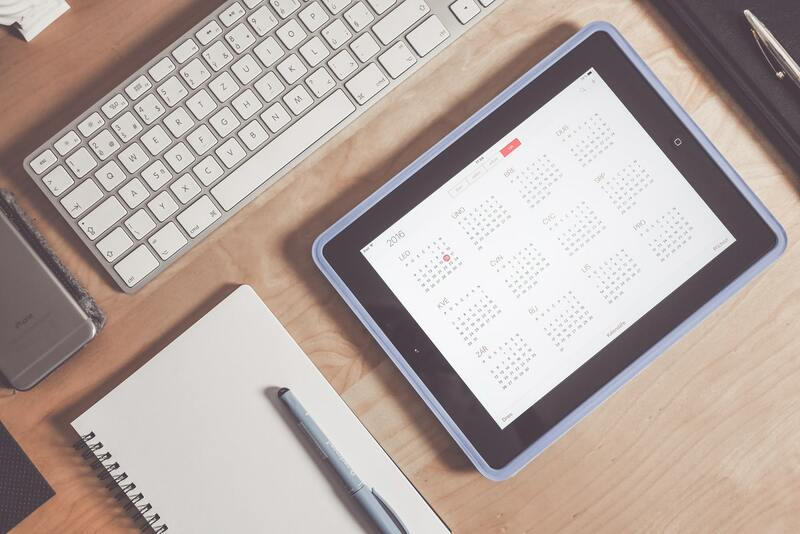 When Should You Raise Your Tuition? Let’s get started by addressing the most common question about tuition: When is a good time to raise your tuition rates? The answer: every single year. Raising tuition rates shouldn’t be a one and done type of proposition. It should be built into your school’s financial strategy. There are several reasons why you should commit to raising your rates incrementally each year. You’ll always have a need to hire new people, buy more products, update equipment, upgrade software, create new enrichment programs, and market your school to the community. And because the cost of living is on a steady rise, you must spend more on necessary products and services each year to keep your school alive and thriving. It just makes financial sense to raise your tuition. Otherwise, you’ll have to compromise your budget and/or make sacrifices with your quality of service. 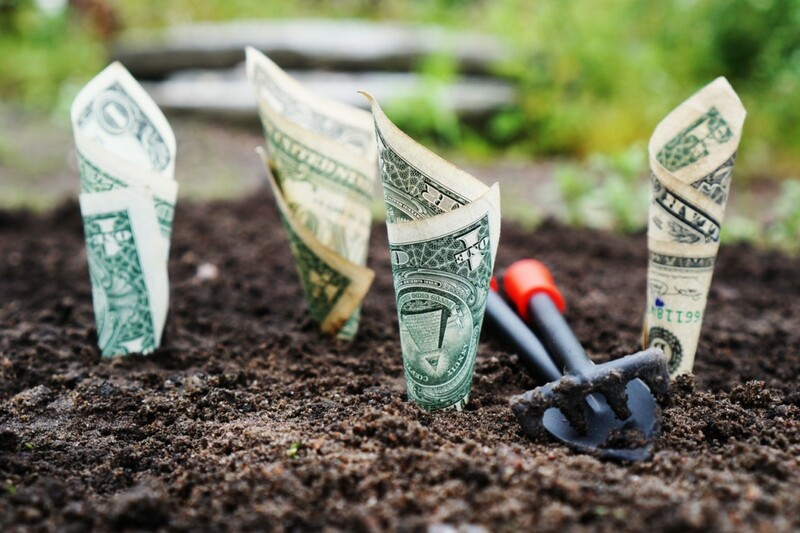 Avoid sabotaging yourself by raising rates consistently and annually. However, there’s one thing to keep in mind before you raise tuition. Make sure that your enrolled families are actually happy with your school. It’s not advisable to raise rates if you’ve noticed a decline in re-enrollment. Learn more about how to improve retention rates here. By how much should you raise the tuition for your school? Obviously, there are no hard numbers here on this blog, but I will suggest that you allow your future goals to inform your tuition rate. In other words, how will you spend the increase? Every single dollar that you plan to earn from the raise in tuition should be accounted for in a future expense. Don’t just raise rates at your whimsy. Be intentional and earmark it for a specific purpose. This is crucial. Having a specific goal will help you justify the rate increase to your enrolled families. Make a list of all of the things (not already accounted for in the current budget) that you want to accomplish in the next school year. Then tally up the totals and distribute it across the number of students enrolled. This should give you a rough estimate of how much you should raise tuition by (within reason, of course). Once you have a plan for how you’ll use the increase, it’s time to get your families on board. You’ll do that by properly educating them on the why. Explain why you need to raise tuition rates, and get specific. Keep in mind that your “why” should be student-centric. Don’t make your reasons for the tuition raise about the school or even the teachers. Don’t offer sob stories about how you can’t afford to pay your teachers. That won’t motivate your families. In fact, that type of narrative will backfire. It will build a negative reputation for your school’s administrators. Your enrolled families will conclude that the raise in prices is a result of poor management of resources, and that’s not what you want. Instead, make it about the students and the ability to access to the best educational resources available. Explain what you plan to do in S.M.A.R.T. terms—your goals should be Specific, Measurable, Actionable, Realistic, and Timely. Add an emphasis on timely. Create and commit to a deadline for goal implementation in the coming school year. Never apologize for raising tuition. It’s not your fault that you need to raise tuition—it’s just the natural consequence of operating a private school. Instead of blaming yourself, shift the perspective. Position the increased tuition as an increased value, but not an increased burden. Position the raise in tuition as an increased value, not an increased burden. Take your cue from Wilmington Montessori. Remind families of what’s included in your tuition. You can also focus on the specific benefits that are gained by the rate increase. Keep your messaging upbeat, positive, and blameless. it’s a lot more acceptable to raise tuition rates incrementally over an extended period of time than raising rates up all at once. When you introduce a huge price increase all at once, you’ll lose families. Let’s talk about the idea of “Just Noticeable Difference”. This rule, discovered by Ernst Weber, suggests that you can raise rates by up to 10% without causing much pushback. In various studies, consumers were willing to accept a just noticeable increase without complaint. But if the price jumped by 30%, it became very noticeable, and therefore unacceptable. If you take it in reverse, it’s akin to how a 10% discount rarely motivates you to act whereas a 40% discount will always get your attention. When it comes to your school’s tuition, consider raising the rate slowly, consistently, and by less than 10% each time. You’ll be more successful in retention than if you raised tuition by 20% every other year. When you raise tuition, it won’t be a secret, and it shouldn’t be treated as such. It’s also nothing to be ashamed of. Raising tuition is a part of doing business, and your enrolled families will understand that. But it’s all about the presentation. If you try to hide the tuition hike or cloak it in extra fees, it can cause confusion and a serious pushback. Unless you want to spend the rest of the year fielding phone calls and impromptu meetings from concerned families, it’s important that you get in front of things and offer price transparency. In addition to educating the families on why you’re raising tuition, explain how you arrived at your pricing. That may mean itemizing your rate increase so that parents understand exactly where each dollar goes. Remember that you’re not a big corporation. You can be completely honest (and vulnerable) about the cost of running your school. Chances are, no one’s getting rich. Sticker Shock: (noun) The mixture of confusion and distress experienced by a parent who, in the process of re-enrollment, finds out that the school has raised tuition. Don’t shock your families with a surprise rate increase. Give them plenty of advanced notice that you’ll be raising rates and by how much. Ideally, you should let parents know by the end of the school year or early in the summer. That way, they’ll be able to raise additional funds in time to register for the upcoming year. The last thing you want is for parents to pull out their children because they can’t afford your tuition increase. And you also don’t want to start the slippery cycle of discounting fees because it never ends. Last, but certainly not least, be appreciative. Make sure that your families feel valued. Acknowledge their sacrifice and reaffirm that they’re making the right choice to invest in your school for their children’s education. Gratitude is an essential component in your tuition strategy. When you value your families, they’ll value you—and raising tuition will be a piece of cake, or at least a slice of bread. Don’t forget to download this list of best practices for increasing your school’s tuition rates. 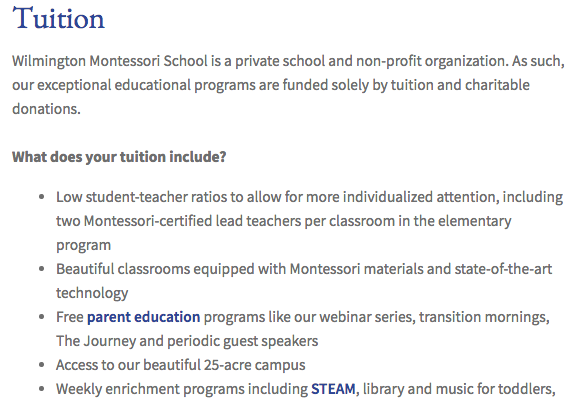 Here’s a list of best practices to remember when raising your Montessori school’s tuition. Subscribe to receive this extra resource.